This is the one you’ve been waiting for! This is a perfect home in the heart of Iona surrounded by trees and sunshine! This home has brand new updates, from the studs to the roof and is an Energy Star home perfect for you! 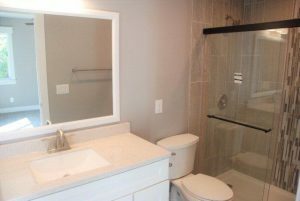 Stainless steel appliances, Granite in the kitchen and all 3 bathrooms. 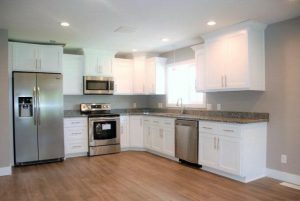 Custom Shaker cabinets, Brushed Nickel hardware and crown molding throughout! Each room features recessed lighting, new carpet, laminate floors, fans in all the bedrooms and LED lighting. 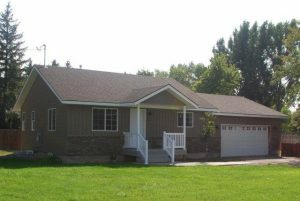 The exterior features, double car garage, wood fencing and a 1/3 of an acre to enjoy all year round! Don’t be surprised by the gorgeous tile in the Master bath, the perfect light over the kitchen sink and the darling covered front porch! The builder thought of everything to make this your Home Sweet Home!